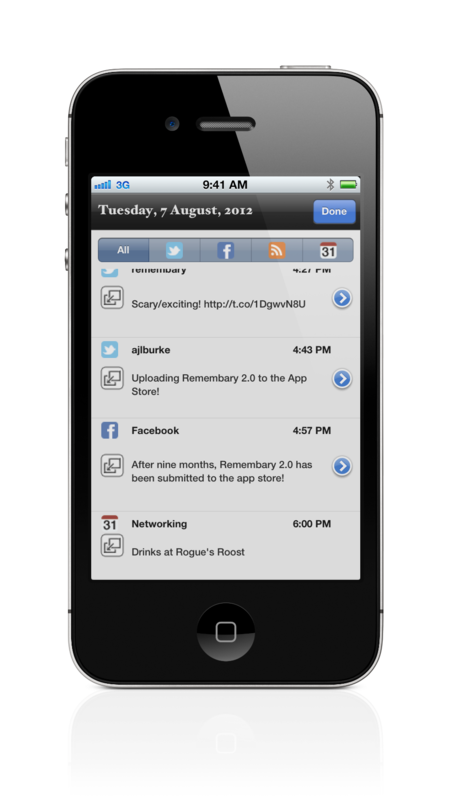 Remembary is the diary app that helps you remember what you did by giving you instant context for your day. Tweets, Facebook status updates, blog posts, calendar events, photos and videos - even an automatically-generated map of your day - it's all one tap away. 12 retina-grade themes with gorgeous paper textures and even watermarks. 14 fonts, including licensed recreations of classic typewriters, renaissance calligraphy, and even Jane Austen's handwriting. Full screen reading and editing in both landscape and portrait. Works on iPhone, iPod Touch, and iPad. Search for any text in your diary entries. Calendar navigation shows at a glance which days have diary entries and which don't. Backup your diary to text file or re-importable data format. Sync your diary exports with DropBox. Secure your private diary with password protection. Support for multiple iOS Twitter accounts. Bulk download up to 3500 of your previous tweets per Twitter account. Every photo taken that day - even from Photo Stream - shows up in your diary. 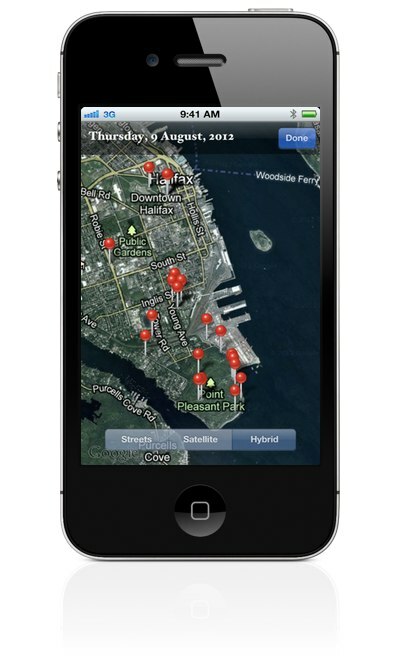 Geotagged photos and Tweets and Facebook location check-ins instantly show up on a map for each day.